While health literacy is a relatively new multidisciplinary field, it is vital to the successful engagement with and communication of health with patients, caregivers, and the public. This book ‘New Directions in Health Literacy Research, Theory, and Practice’ provides an introduction to health literacy research and practice and highlights similar scholarship in related disciplines. The book is organized as follows: the first chapter explains the still-evolving definition of health literacy; the next three chapters discuss developments and new directions in health literacy research, then a further two chapters are devoted to developments and new directions in health literacy theory. 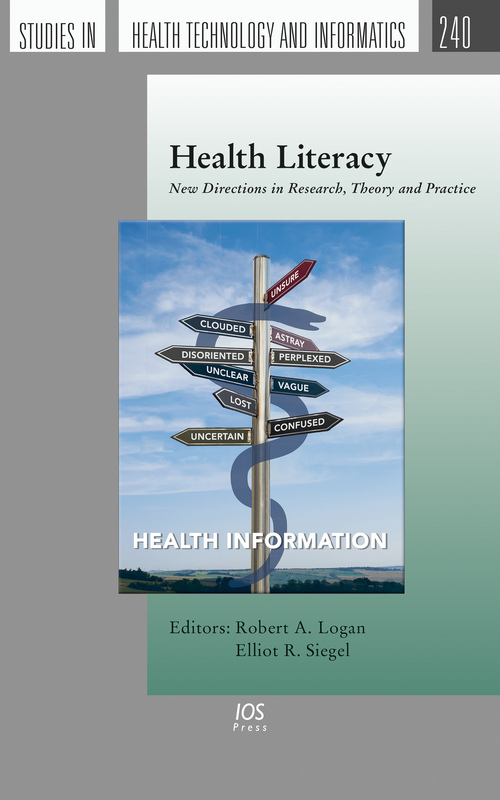 Two chapters explore health literacy interventions for vulnerable populations; four chapters cover health literacy leadership efforts; six chapters describe developments and new directions in disciplines that are similar to health literacy; and six chapters portray diverse health literacy practices. A preface from Richard Carmona M.D., the former U.S. Surgeon General, is included in the book. Although the book is intended primarily for health literacy researchers, practitioners and students, the diverse topics and approaches covered will be of interest to all healthcare and public health researchers, practitioners, and students, as well as scholars in related fields, such as health communication, science communication, consumer health informatics, library science, health disparities, and mass communication. Please also read Safety News: Boosting health literacy is a team effort, an article which features one of the book's authors, Cindy Brach.